Pfizer, UnitedHealth and Johnson & Johnson may rebound this year, American Century's Michael Liss says. 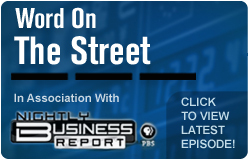 Editor's note: As part of our partnership with PBS's Nightly Business Report, TheStreet's Gregg Greenberg will appear on NBR Tuesday (check local listings) to discuss the prognosis for health-care stocks in 2011. NEW YORK (TheStreet) -- Health-care stocks may have lagged the broader market in 2010, but they may rebound this year, says Michael Liss, manager of the American Century Value Fund (TWVLX - Get Report). Liss is especially bullish on Pfizer ( PFE - Get Report), UnitedHealth Group ( UNH - Get Report) and Johnson & Johnson ( JNJ - Get Report). The $2.1 billion fund, which garners a full five stars from Morningstar ( MORN, has returned 10% over the past year, putting it in Morningstar's 63rd percentile. During the past five years, the mutual fund has risen an average of 1.8% annually, better than two-thirds of its Morningstar rivals. Health care was the worst-performing sector in the S&P 500 Index in 2010. Why do you expect it to rebound in 2011? Liss: Because the sector lagged in 2010, it sets itself up with some great risk/rewards. The valuations are cheap, and we think the fear over the new health-care law is overblown. Put this all together, and and we think they are going to have some movement in 2011 to reflect some better fundamentals. You own Pfizer, which has acquired Wyeth. Liss: They are getting it together. The Wyeth merger presents them with some great opportunities to take out some costs on both the selling, general and administrative, and research and development lines. Moreover, they have some interesting drugs in the pipeline. They have a drug for rheumatoid arthritis, which we think will get through its Phase III trials and get approved by the FDA. And they also have a lung cancer drug, which is another big opportunity. Johnson & Johnson has had some quality problems of late. Can the company get its act together? Liss: They can. The barriers are not insurmountable. It's a lot of blocking and tackling and simple execution. They should have had higher-quality control standards, and we are disappointed, obviously, as shareholders. But that presents the opportunity. And we think the free cash flow yield on this one is pretty good so the valuation is excellent. We are talking about an 8% or 9% cash flow yield on a very solid company. We have hit the one-year anniversary of so-called ObamaCare being signed into law. What has been the effect on UnitedHealth and what will it be going forward? Liss: It's actually going to be pretty good for UnitedHealth coming out of this because they are going to have a lot of opportunity to get new lives under their care. We are talking about 30 million people who will most likely be insured going out to 2019. It will start to pick up in 2014 when the major provisions of the health-care law kick in. They have a great market-share position in Medicare Advantage, and the cuts there have been overblown. They have been able to manage through that pretty well. In the battle between orthopedic-implant makers, why do you like Zimmer (ZMH over Stryker (SYK? Liss: They are both good companies, but we are more disposed to Zimmer because they are more of the pure play on orthopedics. They have 75% of their business coming from hips and knees. They have a very good balance sheet and a good market-share position. And we think they are going to benefit from the new health-care law as more people gain eligibility and can utilize those products.